Two young fishermen have been found dead on a trawler moored in Whitby Harbour, North Yorkshire. Early reports suggest the men suffered carbon monoxide poisoning, having left an oven ring burning throughout the night to provide heat. Carbon monoxide is a colourless, odourless gas – often dubbed the ‘Silent Killer’ – and can kill quickly if inhaled in high concentrations. 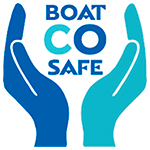 Following a similar incident in April 2013, when a mother and her 10 year old daughter died on Lake Windermere, MP Barry Sheerman, chairman of the All-party Parliamentary Carbon Monoxide Group (APPCOG), urged boaters to safeguard against the noxious gas by following Boat Safety Scheme advice. This advice can be found in a booklet Safelincs produced in conjunction with Boat Safety Scheme and CoGDEM (The Council of Gas Detection and Carbon Monoxide Monitoring). 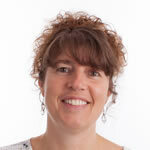 Printed copies are available free of charge from Safelincs. Everybody – home owners and caravan owners as well as boat owners – should have a carbon monoxide alarm, but these are not a substitute for the good installation, regular servicing and proper maintenance of fuel burning appliances and engines.